Calm like Rahm. 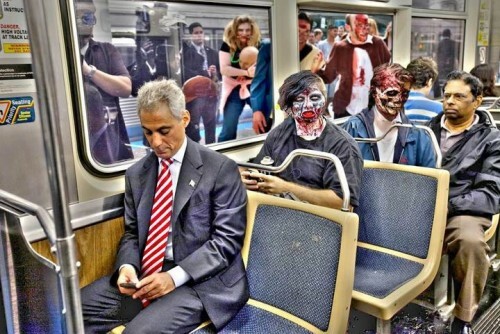 Halloween might be over, but we couldn't resist sharing this Facebook photo of Chicago's Mayor Rahm Emanuel riding public transit with zombies! The photo was posted with the following caption: "In case of a zombie apocalypse, remember to stay calm like Rahm." (h/t Transportation Nation) S, M, L, XL, XXL. 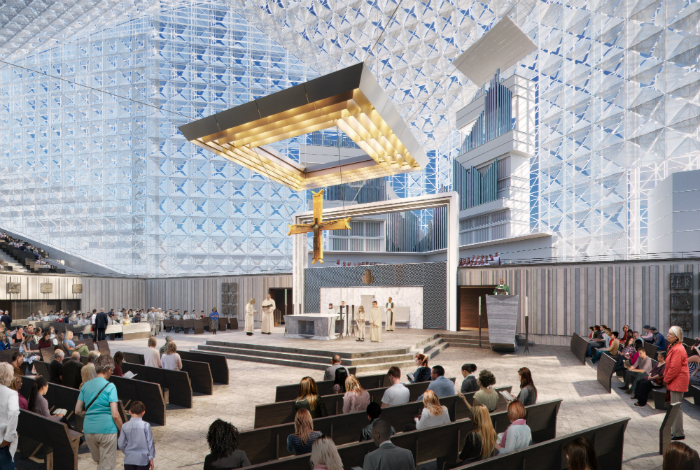 The AIA-Chicago has released their latest round of awards and the Chicago Tribune's Blair Kamin takes a look at the winners, lauding the range of project scales undertaken by Chicago architects, from a small pavilion to the world's tallest building. Tracking LA. While Chicago has zombies, LA County has some cold hard cash. Everything Long Beach reports that eight key transportation projects were awarded $448 million including a 6.7 light rail line that is expected to become one of the busiest lines in the U.S. Sacred sale. 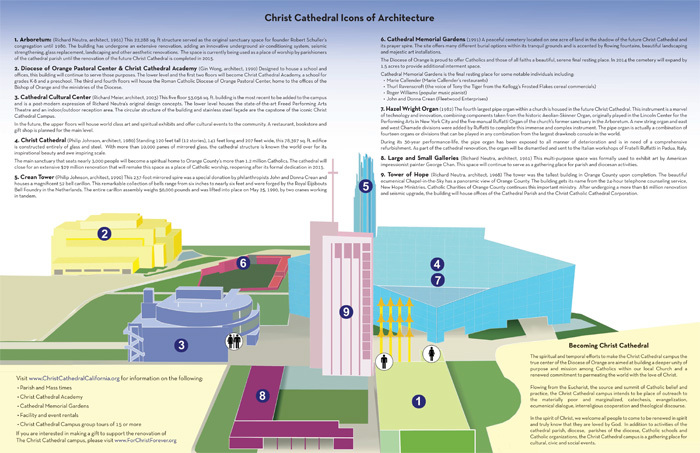 Bankrupt mega-church Crystal Cathedral has found a buyer for their expansive, starchitect-studded Southern California campus (think Philip Johnson, Neutra, and Meier). 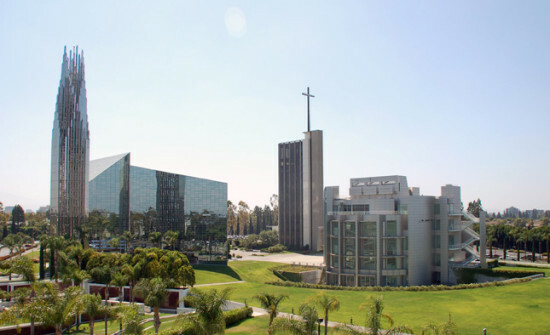 The LA Times says Chapman University will pay $50 mil for the site, allowing the slimmed-down church to stay and eventually buy back their core building. Philly reads. In this economy, small book stores—especially architecture book stores—are struggling to keep their doors open. Philly is bucking this trend as the AIA Philadelphia opens up a new shop working with the Charter High School for Architecture and Design in Washington Square.